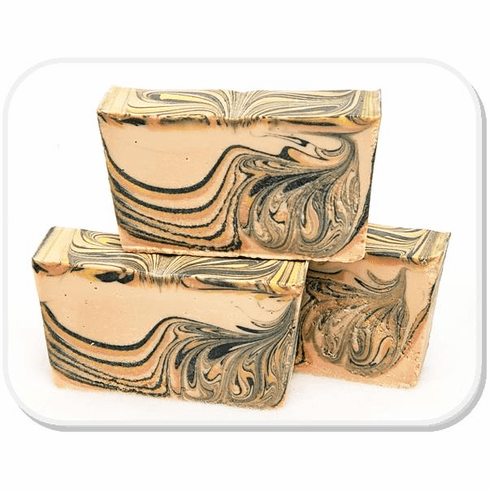 This fantastic all-natural, handcrafted soap is made in Rhode Island, with moisturizing glycerine and mango butter. Beautifully fragranced and designed, each bar is one-of-a-kind, weighing approximately 4oz. Ingredients: Saponified Oils (Palm, Rapeseed, Organic Coconut Oil, Tallow, Shea Butter, Cocoa butter, Rice Bran), Kaolin Clay, Sea Salt, Fragrance, Mica.